EU Enlargement Commissioner Štefan Füle called on Ukrainian leaders and opposition on Thursday to form an 'inclusive' government and urged Kiev to ensure 'free and fair elections' in the crisis-hit country. In a 3 day visit to Kiev, in which he held talks with government and opposition, Füle insisted on the need for both sides to agree on constitutional reform, potentially limiting government powers. 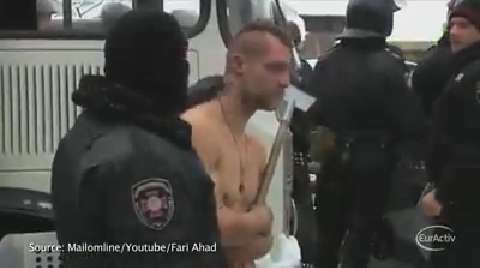 An unidentified video released on Youtube shows Ukrainian police hitting and humiliating a protester who is completely naked in sub-zero temperatures. The man is forced to stand naked in the snow while police officers take pictures of him before he is pushed into a police. According to the Ukrainian daily Kiev Post, the incident happened last Tuesday. The Ukrainian police has issued an official apology and the Ukrainian Interior Ministry called the police officers' behaviour 'unacceptable'. As the situation in Ukraine evolves toward civil war, Commission President José Manuel Barroso proposed on Thursday to send the EU’s top diplomats to Kyiv to help dialogue and calm down the situation. 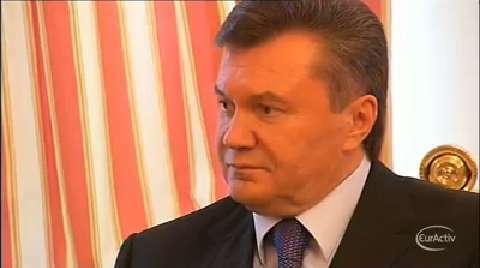 Ukrainian President Viktor Yanukovich reportedly accepted the mediation and assured Barroso that he didn’t foresee to install a state of emergency in Ukraine. 'Work on hold'. With these words, EU enlargement commissioner Stefan Füle announced on Sunday via twitter that Brussels is suspending further talks with Ukraine on a landmark trade and political pact. The Commission added that Kiev needs to show a "clear commitment to sign" the deal in order to continue the discussions. 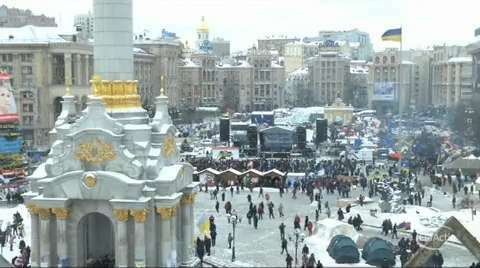 As protestors in Kyiv continue to defy police, EU's foreign affairs chief Catherine Ashton said on Wednesday that Ukraine's President Viktor Yanukovich will sign the Association agreemtn with the EU. She also added that the people of Ukraine deserve better than their current situation, while an US envoy spoke for the first time of possible sanctions against Yanukovich's regime. As the most largest anti-government protests in Turkey’s recent past look set to enter a third week, Turkish prime minister Recep Tayyip Erdo?an and EU Enlargement Commissioner Štefan Füle sparred over the issue at a conference held in Istanbul on Friday (7 June). 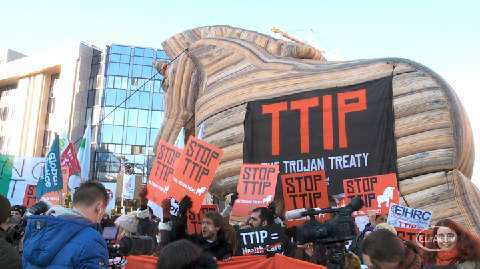 The European Business Summit in Brussels got off to a slow start this year as several hundred protesters blocked access to the conference venue in a climate protest. The demonstrators only left one door open so that climate-friendly companies could still get in. It did not take long however for Brussels police to come an in remove the protesters. Several dozen were arrested. The activists used the start of EBS to protest against the corporate influences on climate policy and the highlight the growing split between businesses when it comes to climate change.